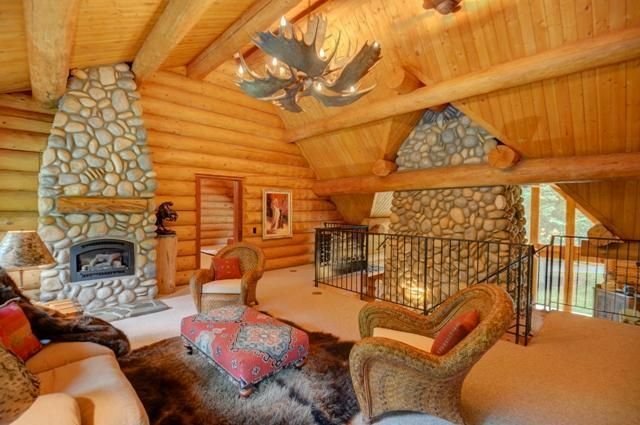 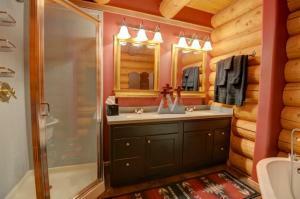 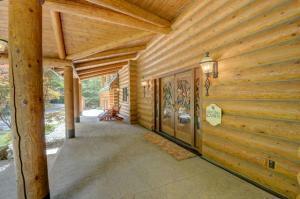 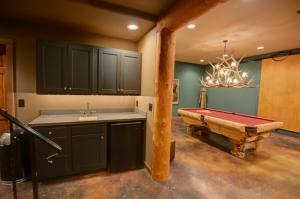 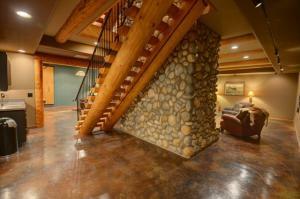 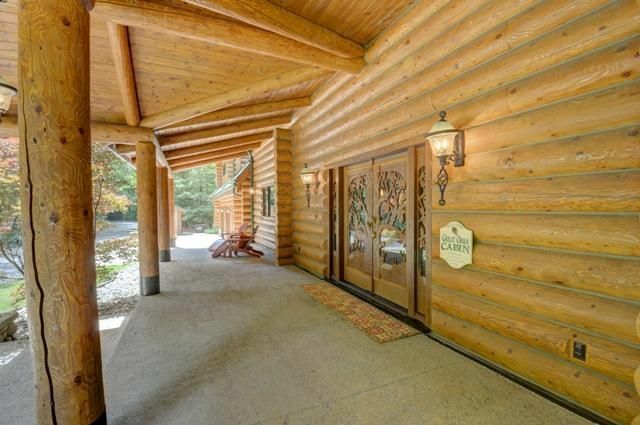 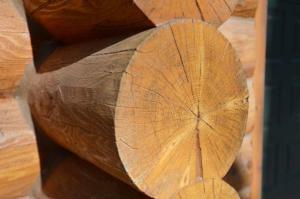 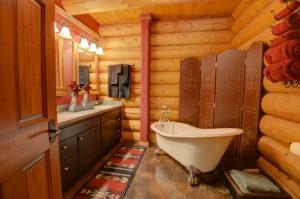 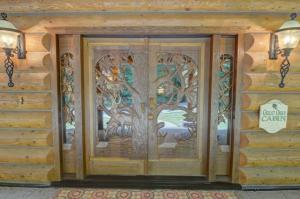 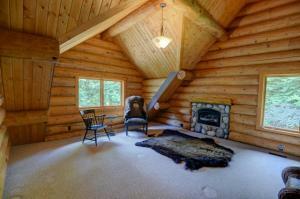 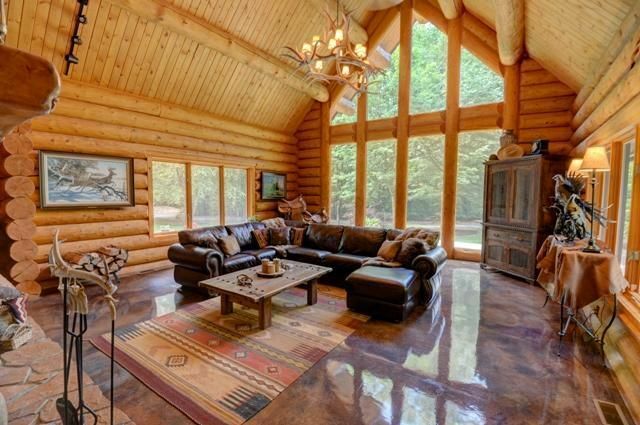 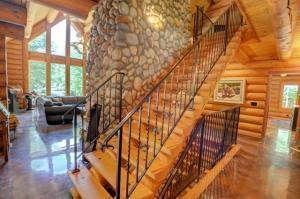 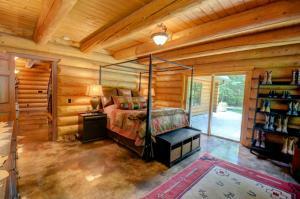 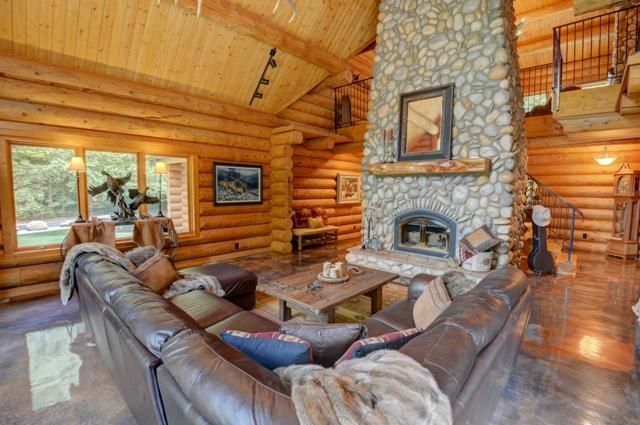 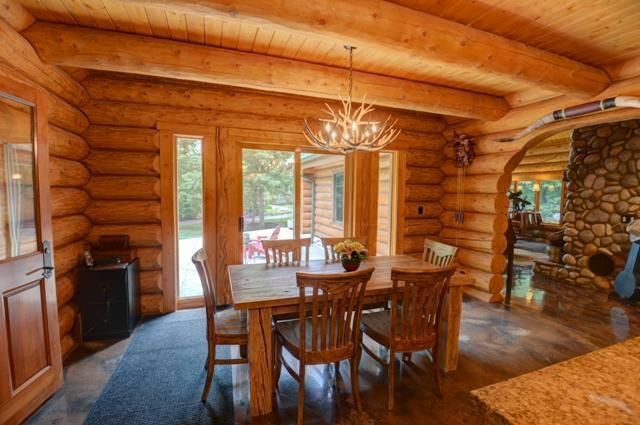 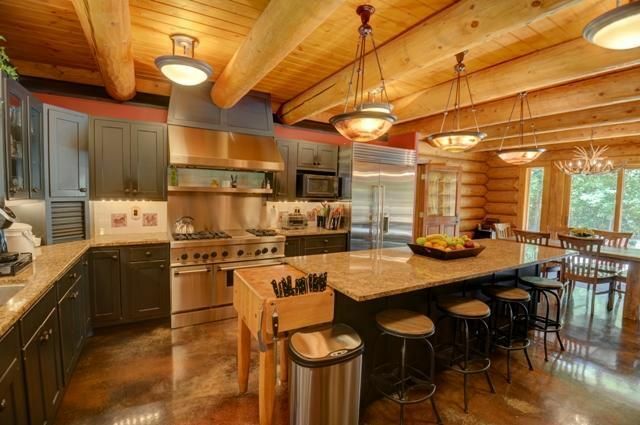 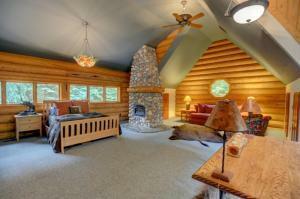 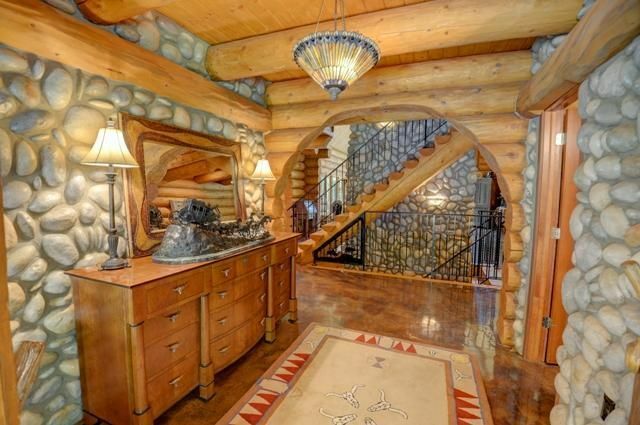 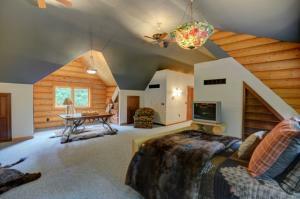 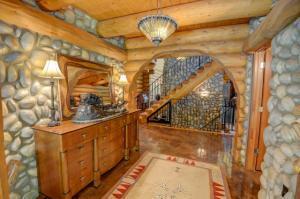 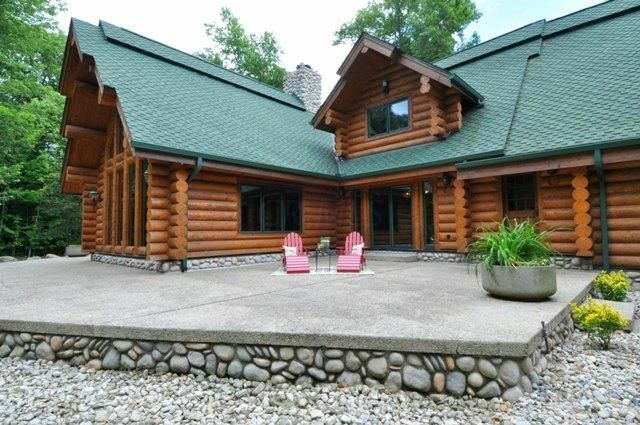 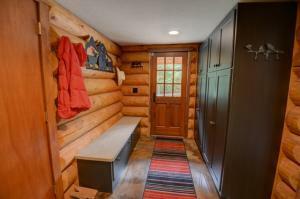 One of a Kind, Custom Built Log Home 4, 808 sq.ft. 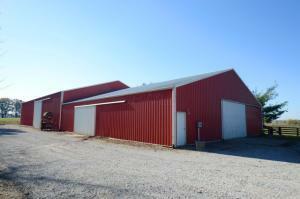 plus extensively finished LL, on 103.5 AC or 38.5 AC. (Buyer's Choice? 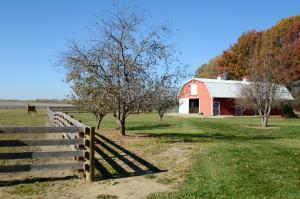 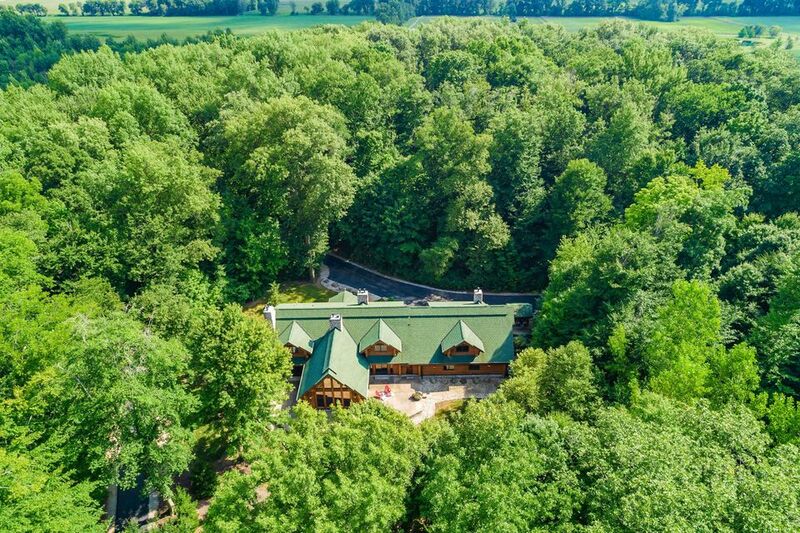 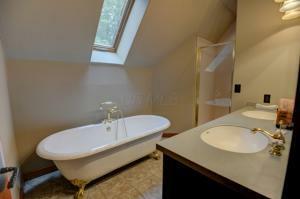 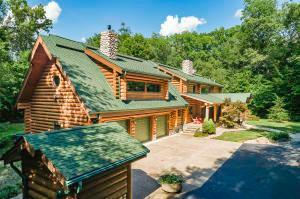 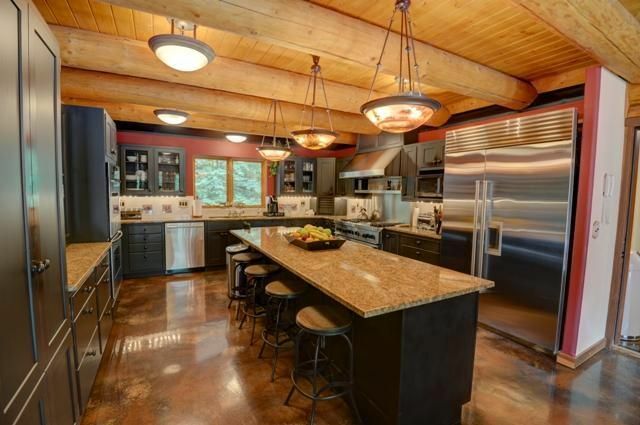 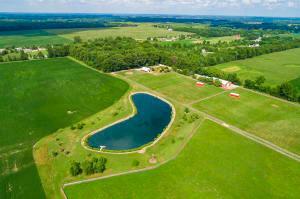 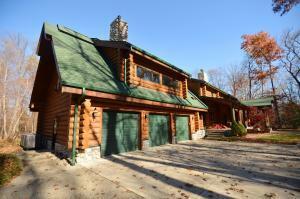 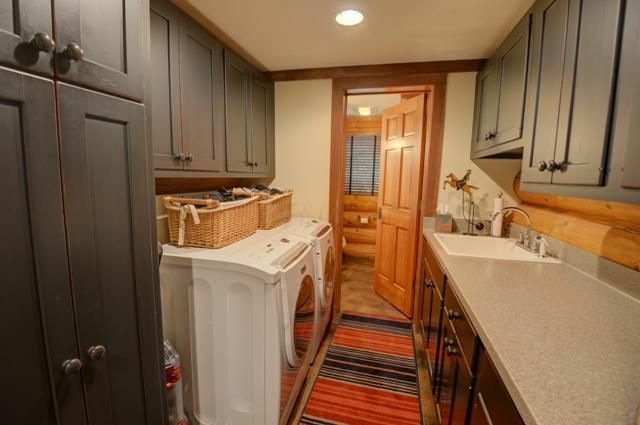 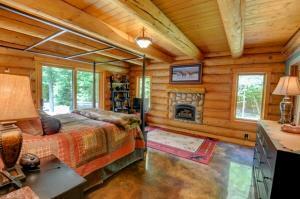 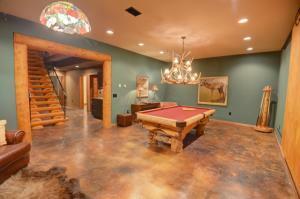 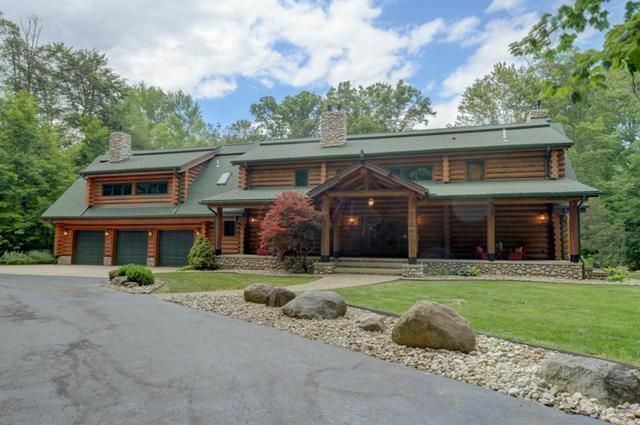 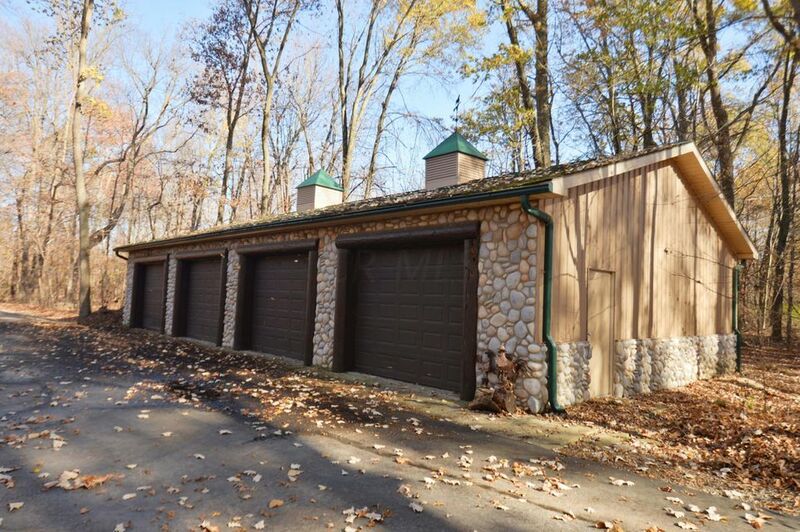 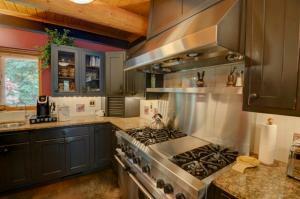 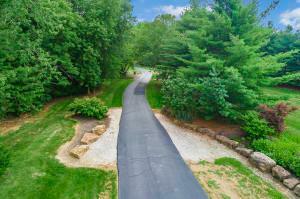 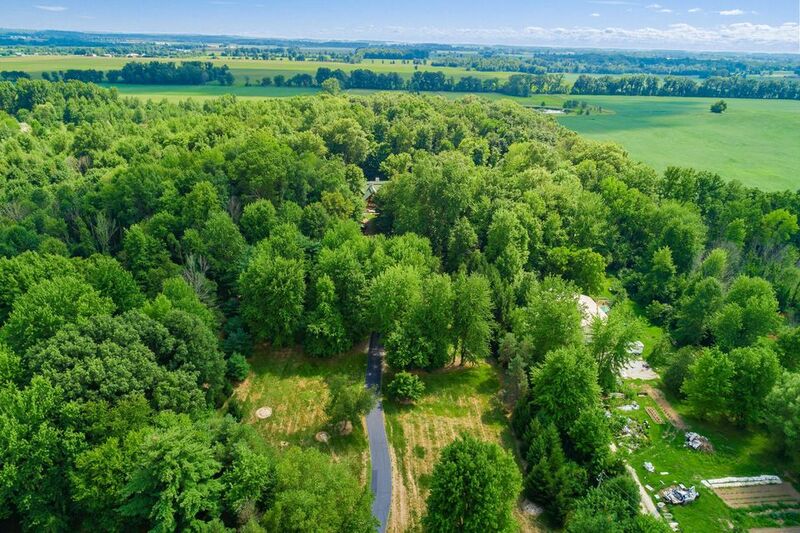 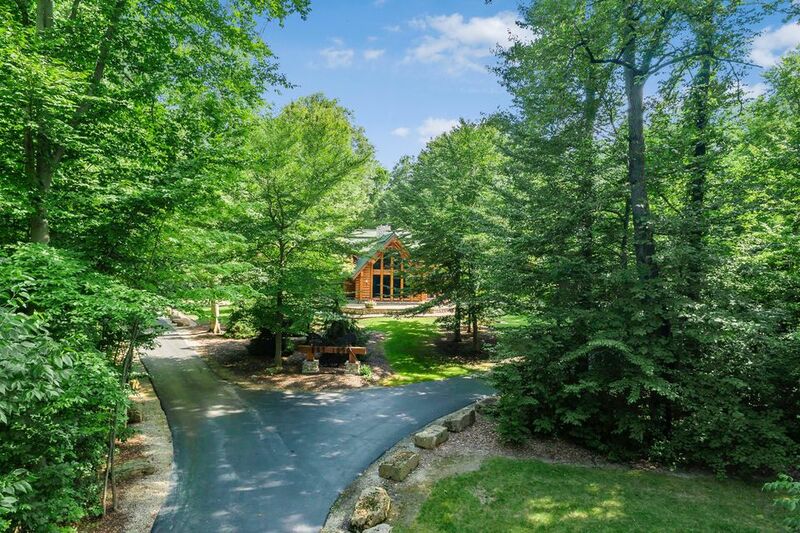 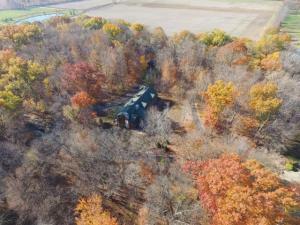 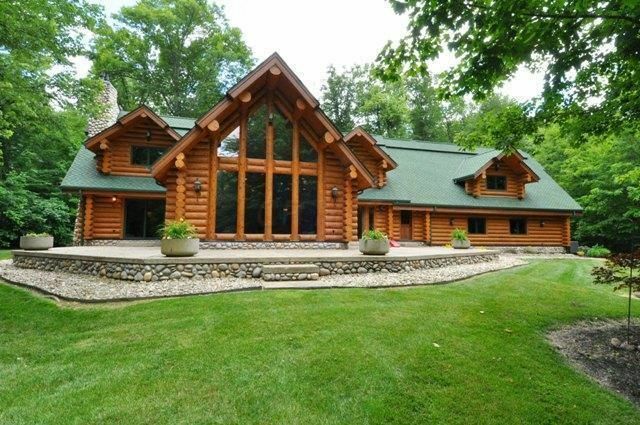 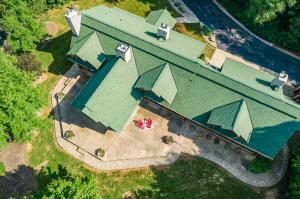 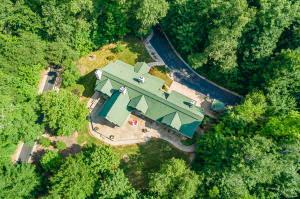 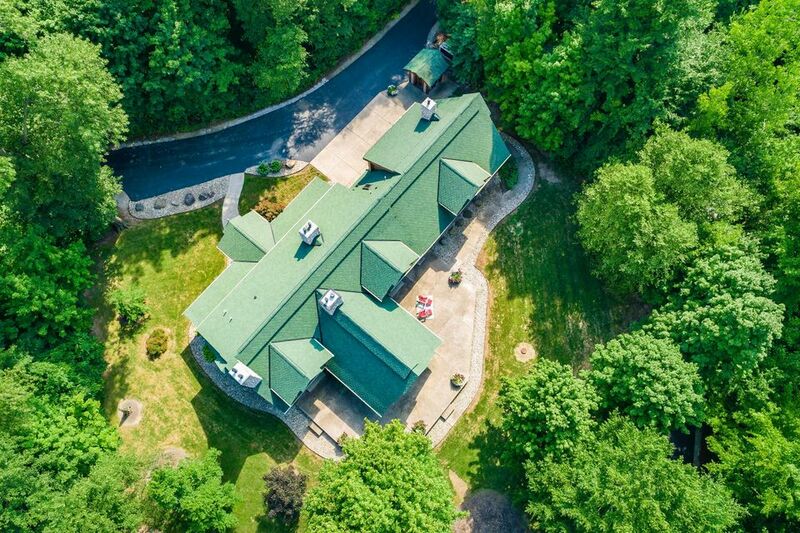 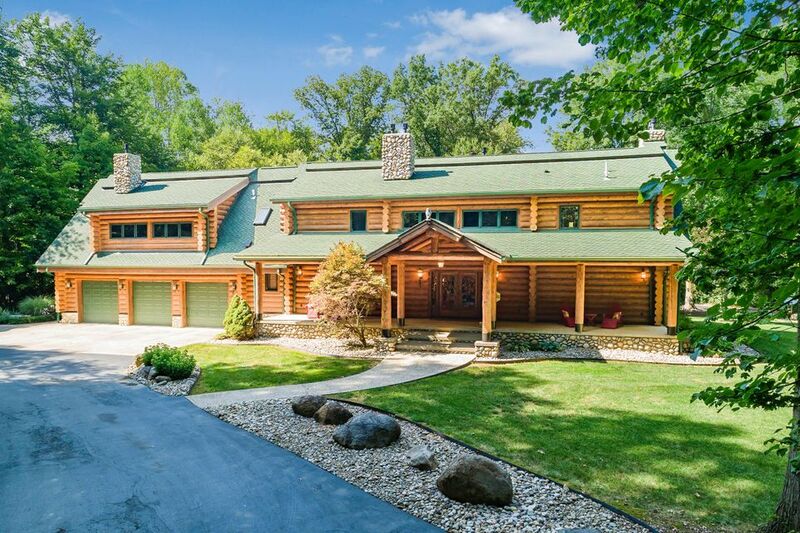 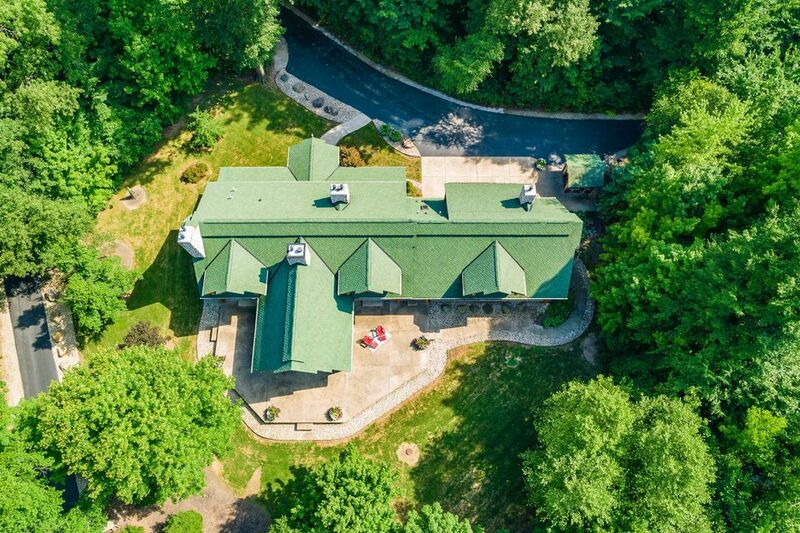 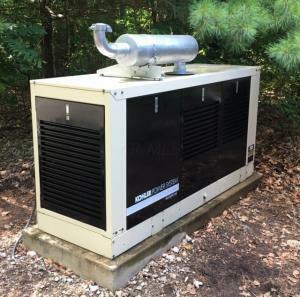 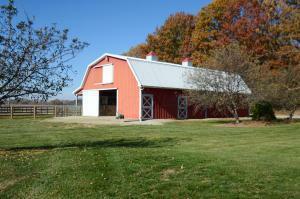 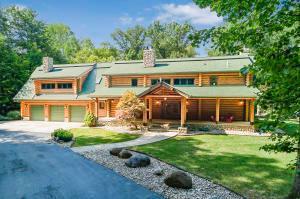 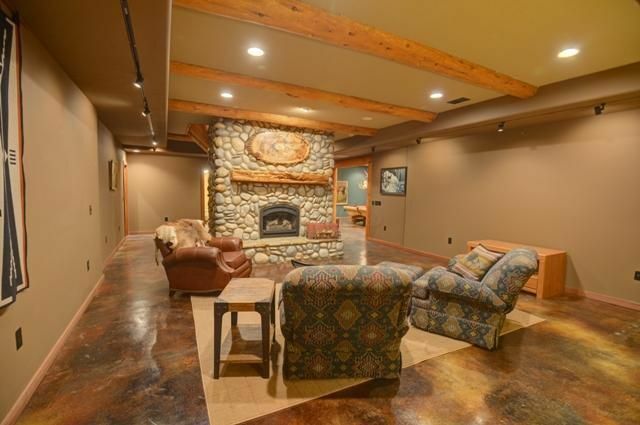 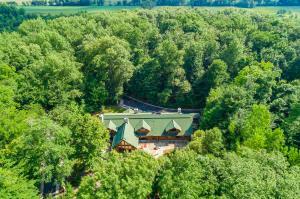 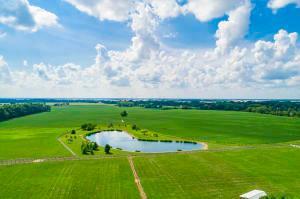 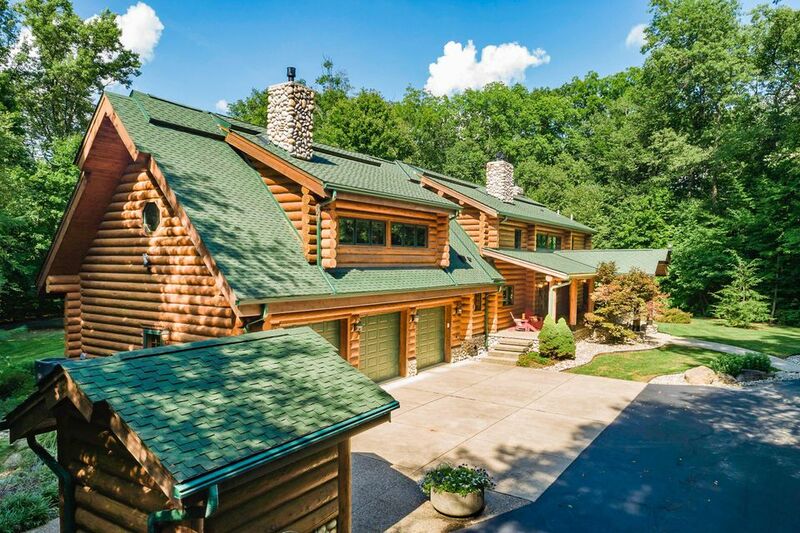 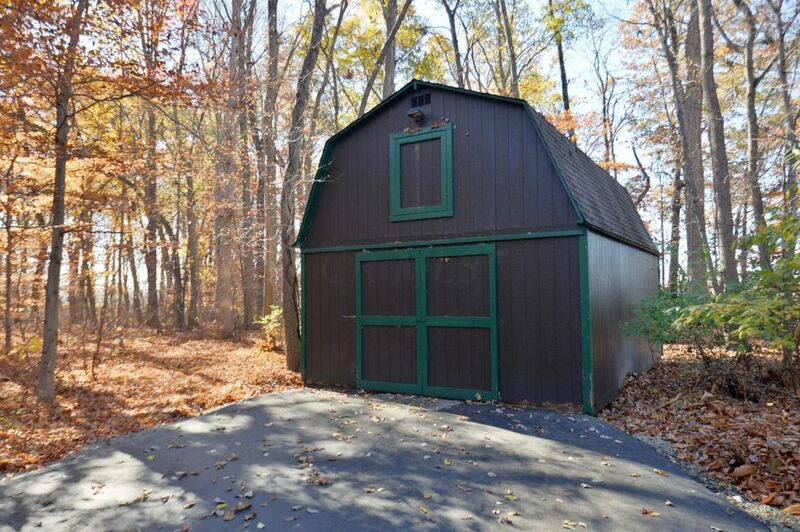 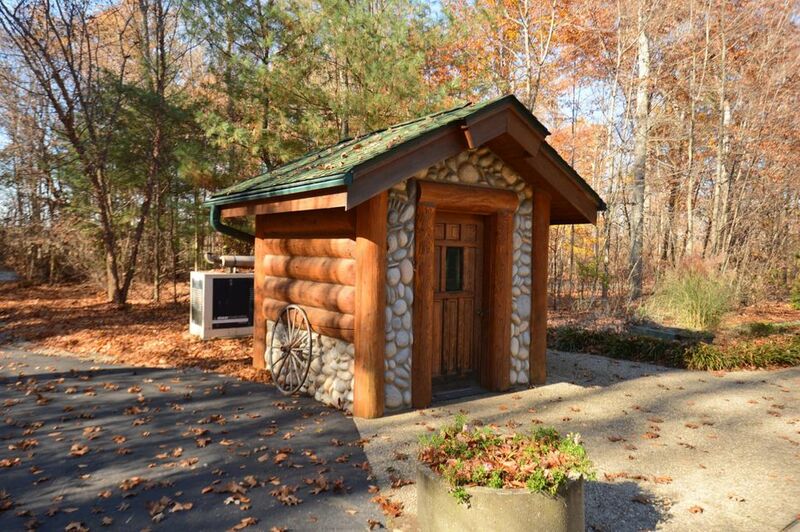 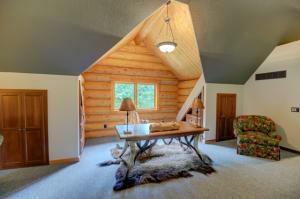 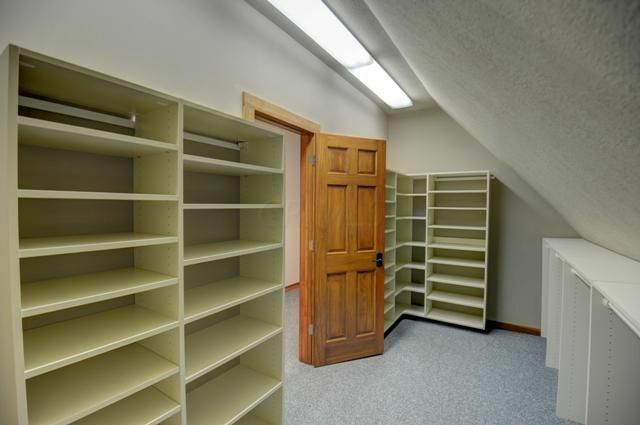 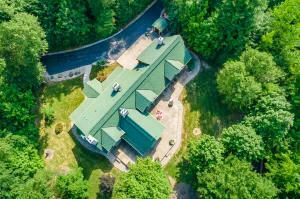 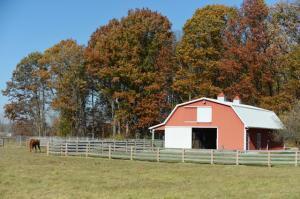 ), privately nestled in 8-10 acres of woods. 1st & 2nd FL MBs plus 2 more private Guest Suites w private baths; Every room with gas Fireplaces, the GR enjoying a massive floor to vaulted ceiling stone WBFP. A true Family Kitchen w 6 burner gas stove, stainless steel Subzero , double wall ovens, large walk in pantry & massive granite Island for family participation. 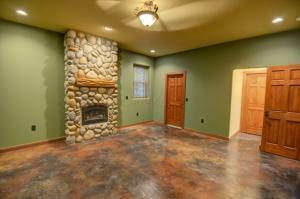 Finished LL & First Floor have radiant Heated Floors. 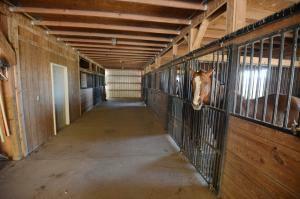 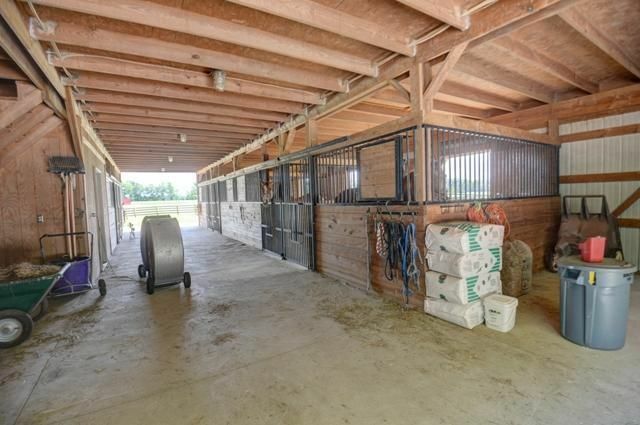 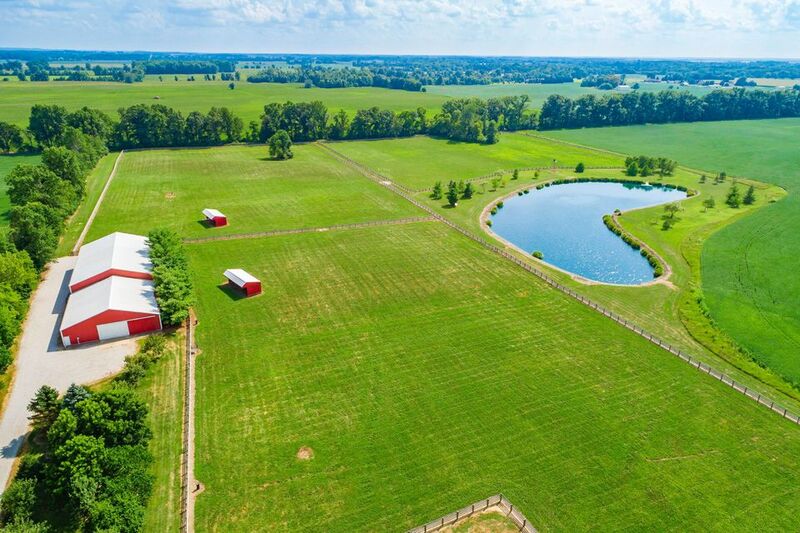 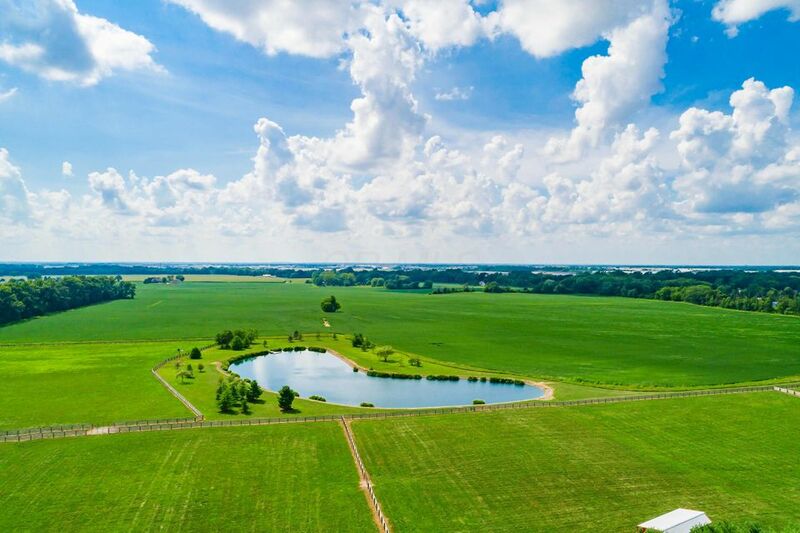 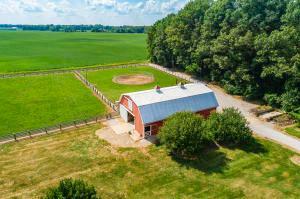 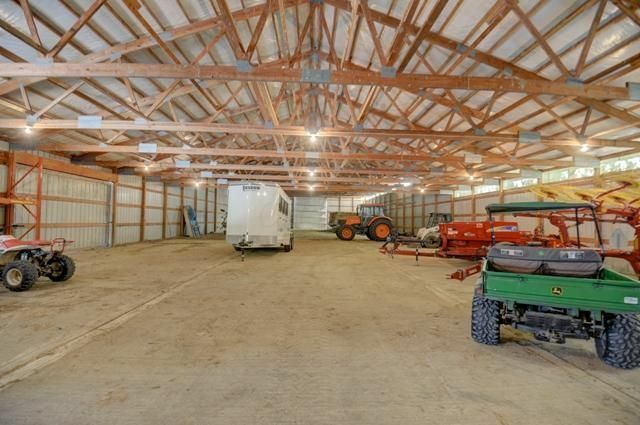 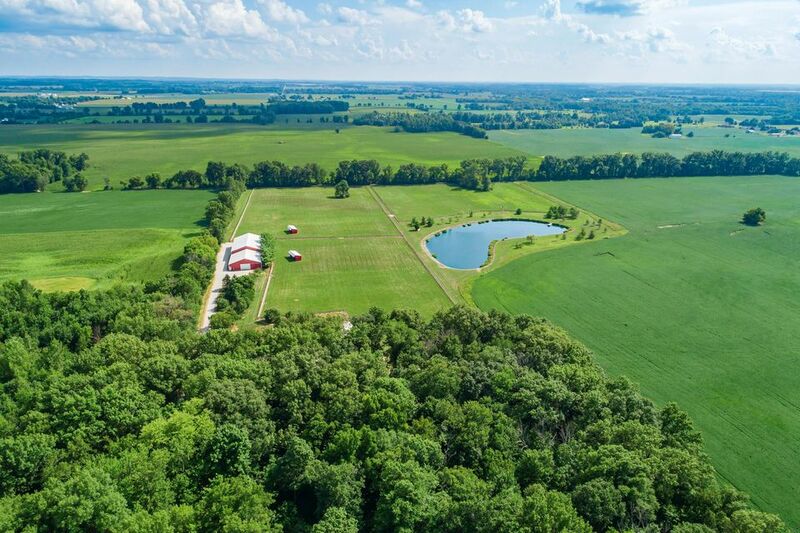 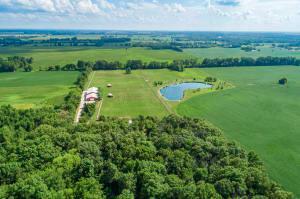 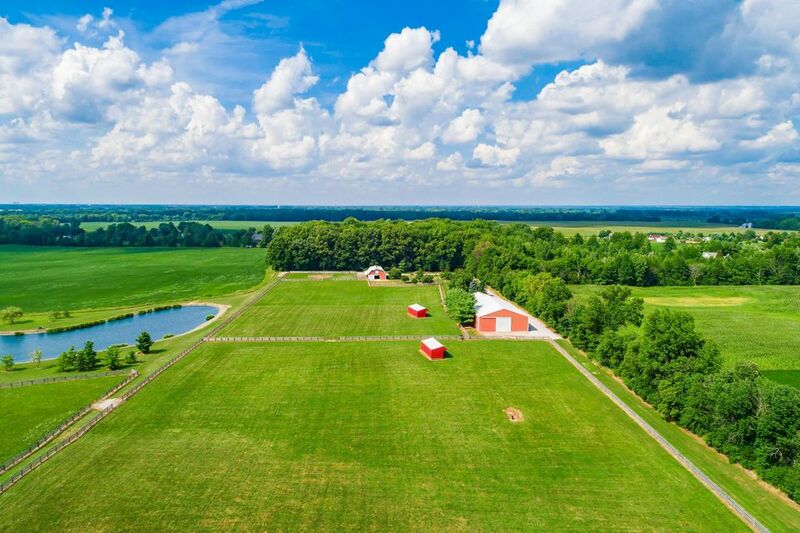 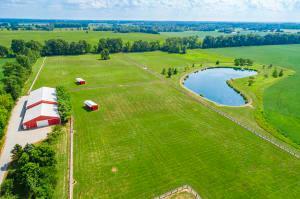 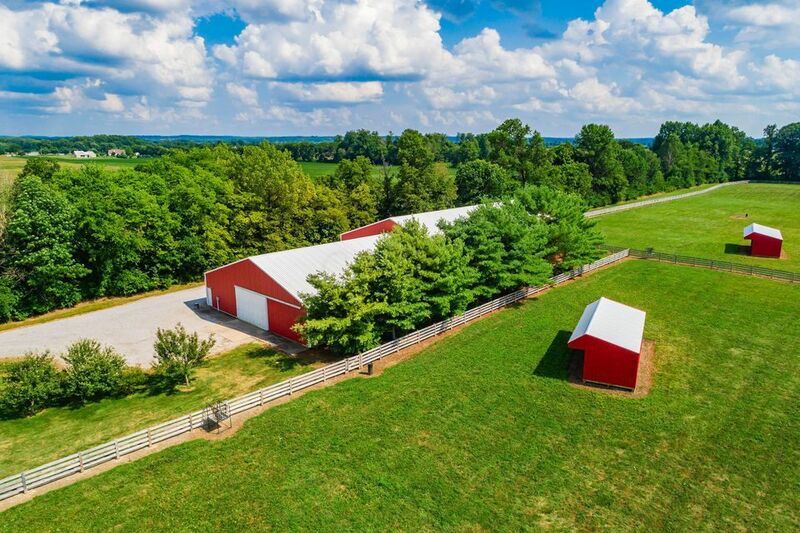 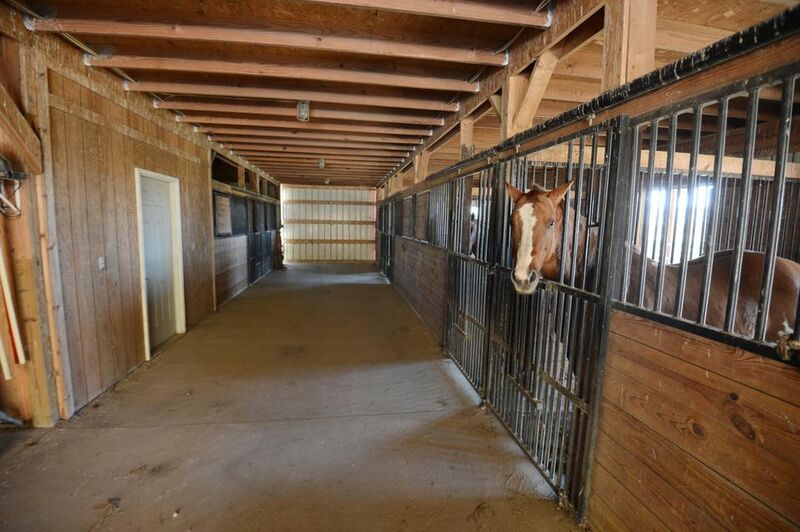 LG Finished LL boasts 12'ceilings and pool table room, 3 car attached & huge 4 car detached garages, plus 6 Stall Horse Barn with Tack room, stall mats, and heated waters . 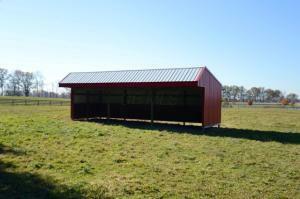 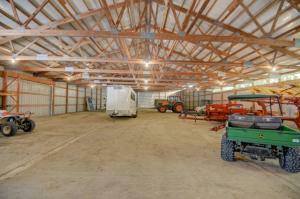 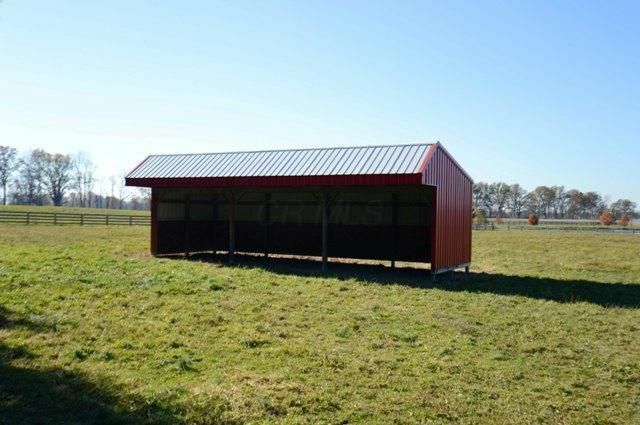 A 60' x 120' machine ''shed'' with 60' x 60' concrete fl & 60' x 60' for indoor arena.